Summary: Legal groups in New York have claimed that a national bar exam would hurt the legal profession in that state and cheapen the value of a New York law license. Lawyers who have earned the “gold standard” of admission to the New York bar are worried that switching to a more nationally oriented bar examination would diminish their successes and hurt their profession, the New York Law Journal reports. 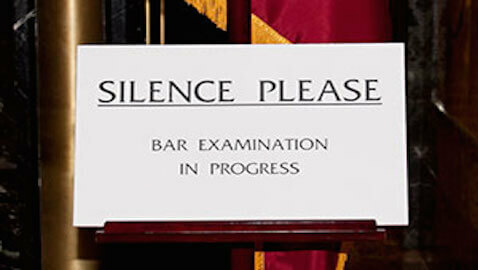 The New York bar exam is known to be one of the country’s tougher tests. David Miranda, the president-elect of New York’s state bar association, explained that the 75,000 attorneys that are represented by his group have “very strong concerns” after Chief Judge Jonathan Lippman proposed adopting the Uniform Bar Examination (UBE). Primarily, attorneys are worried about the effect the UBE will have on their licenses and the practice of law in New York. Five states switched to the UBE in July 2013. Miranda argued that the esteemed New York law license “must not change or be tinkered with” by making changes to the bar exam without seriously considering its effects. Miranda testified before the committee at the Court of Appeals in Albany. The hearing was the second of three that will be held about the UBE throughout New York. The new exam could be used in New York by July 2015. The New York state bar’s executive committee recently approved a preliminary report that was prepared by the committee on legal education and admission to the bar. The report highlights concerns about the adoption of the UBE in New York, and encourages Lippman and the Board of Law Examiners to delay any changes to the bar exam for at least two years. Eileen Millett, the chairwoman of the bar panel, informed the committee that before the UBE is adopted by New York, the state bar would want to know whether students’ knowledge of New York laws would be sufficiently tested in a new exam, and whether their ability to practice law would be properly evaluated. Should there be a uniform bar exam? Yes, it would help law students save money and make it easier to practice in multiple states. No, it would not ensure that students know enough about each state's laws. In addition, Millett suggested that the state could introduce sample questions in the current version of the bar exam that could form the foundation of a UBE-dominated test. These questions would provide guidance on how law students, including minorities, would score on the test. Court of Appeals Judge Jenny Rivera, the chairwoman of the committee, agreed, adding that the effects of a new UBE-based test on minorities is not known as this time. For unknown reasons, white applicants score better on the bar exam than blacks and Hispanics. Creating a new test without understanding why minorities score lower on the current test may create more disparities in scoring. The dean of Brooklyn Law School fired back after the National Conference of Bar Examiners expressed concern about the school’s bar passage rates. Millett added that the issue is a “very complex, very layered, very nuanced issue,” and stated that she did not want the problem to become worse with the introduction of a new test. Mary Lynch, an Albany Law School professor who serves as co-president of the national Clinical Legal Education Association, was also present. She said her group worries that adopting the UBE would force law schools in New York to give up their clinics that prepare students for the practice of law to increase the resources available to help students to prepare for the new test. In addition, Lynch noted that she was concerned that law schools would focus more on applicants who scored well on the LSAT exam, which demonstrates skill in answering multiple-choice questions—which is a large portion of the UBE. On the other side of the argument, Dean Eric Lane of Hofstra University School of Law said that in general, he supports switching to the UBE. He added that class rank is the biggest predictor for how students perform on the bar exam. Students at the top of their law classes are more likely to pass the state bar exam. As for the students who want to work in the biggest law firms and who perform the best in law school, passing a bar exam is not a major concern. He explained, “The New York bar makes absolutely zero difference to most of the lawyers that get hired in the big practices. They will pass any bar. They pass this bar. It is not a relevance. It’s not. It doesn’t matter to them.” In fact, according to Slate, some feel that the UBE can save the legal profession. Students would save money by taking one test as opposed to several, which can each easily cost $1,000. The committee will likely make recommendations in late March or April.